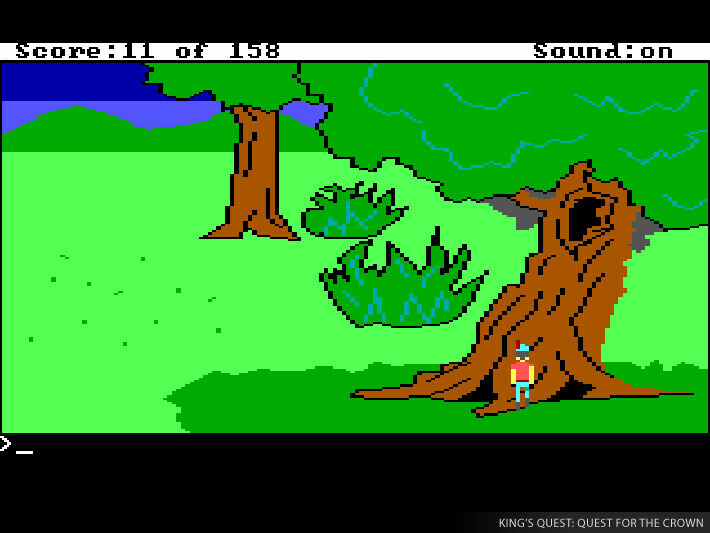 In King’s Quest: Quest for the Crown, become Sir Graham, bravest of knights. Locate and return to King Edward the three great lost treasures of the Kingdom of Daventry in order to inherit the throne. Continue your adventures as (now) King Graham in King’s Quest II: Romancing the Throne as you travel to the land of Kolyma in search of your bride. In King’s Quest III: To Heir is Human, you find yourself a servant of an evil wizard. As Gwydion, you must master spells and overcome numerous perils to escape from slavery and save a kingdom. As with all King’s Quest titles, you must be prepared. The journey will surely prove long and treacherous. You may choose among many paths open to you. The more clever and resourceful you prove yourself, the greater your reward. Life is easy in the magical kingdom of Daventry, at least so long as the Graham family is at its helm. The wonderful, surreal land, filled with fantasy creatures and untold wonders, is just waiting to reveal its secrets to you, if you so wish. Take part in the adventure of Princess Rosella, trying to save her father from certain death. Help the brave King retake his family and castle from the hands of the ruthless wizard Mordack, then join Prince Alexander in finding and saving his significant other in the Land of the Green Isles. Discover the story behind three titles from the King’s Quest saga – one of the most famous adventure game series released by Sierra. Let yourself become enthralled by the incredible atmosphere created by Roberta Williams, who drew inspiration from fairy tales and stories like The Beauty and the Beast, Baba Yaga and many more. The Grahams need your help, so don’t fear, brave adventurer, and embark on a journey of your dreams. In King’s Quest 7, take on Roberta Williams’ challenge as you match wits with an evil enchantress bent on your kingdom’s destruction. 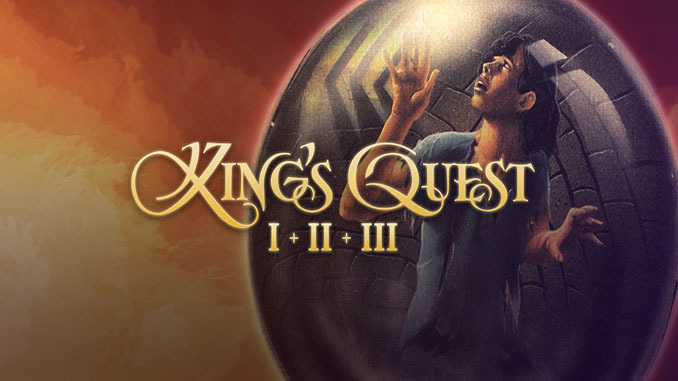 Travel through the remarkable worlds of King’s Quest 8, from a dark underground land to a mysterious realm in the clouds. Every turn yields both secret and salvation, and every mystery you solve brings you closer to the fiery confrontation that will determine the fate of an entire kingdom! 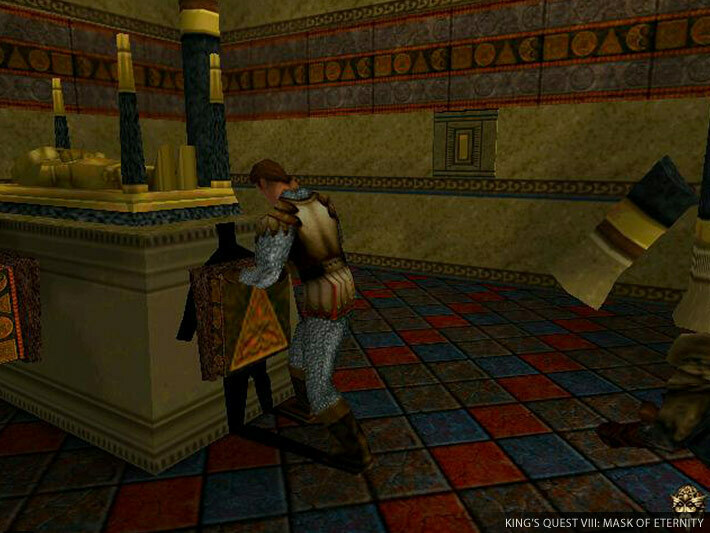 In King’s Quest: Quest for the Crown, become Sir Graham, bravest of knights. Locate and return to King Edward the three great lost treasures of the Kingdom of Daventry in order to inherit the throne. 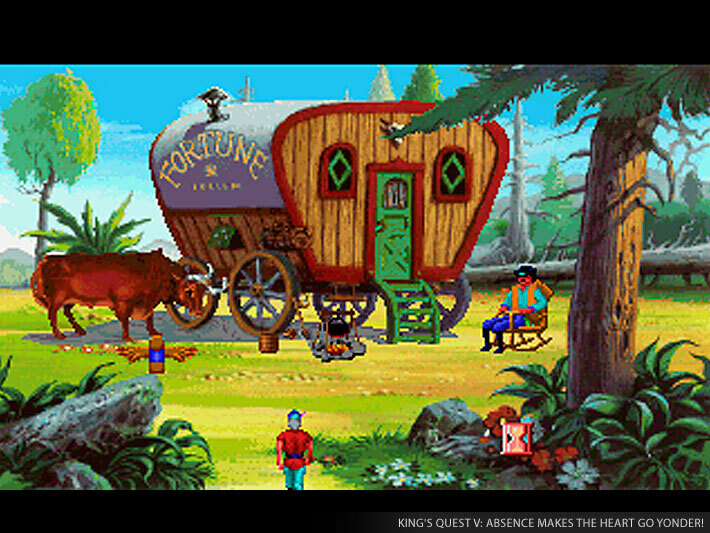 Continue your adventures as (now) King Graham in King’s Quest II: Romancing the Throne as you travel to the land of Kolyma in search of your bride. In King’s Quest III: To Heir is Human, you find yourself a servant of an evil wizard.